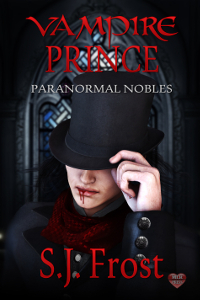 Vampire prince, Valentin, wants the beautiful blood slave, Sebastian for himself, but when he frees him, danger comes from those who don't want to let Sebastian go. Three years ago, Sebastian Beaumont, was starving and struggling on the streets. An offer for safety and shelter was nothing but the lies of a vampire. Since then, he's been trapped, surrendering his blood and body as a blood slave to vampires, all for the hope of gaining one more day of life and maybe, someday, his freedom. Having crossed more than three hundred years of life, Valentin Wyndham, is a prince among vampires. Memories of betrayal still haunt him and love isn't something he seeks. When his need for blood becomes too strong, he breaks his usual habits and visits a blood house. Though he tries to resist, he can't help but be captivated by the beautiful Sebastian. Unable to deny the intensity between them, Valentin frees Sebastian from the blood house, but danger follows them both from those who don't want to let Sebastian go. 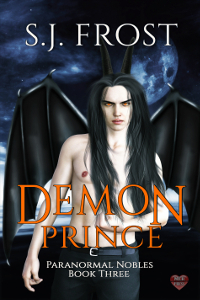 As a witch, Calvin Blackwood knows the dangers of demons, but to save his brother, he's willing to enter into a deal with demon duke, Sal, and give him anything the demon wants in return, including himself. A month ago, Calvin Blackwood found himself in the company of vampires, having been hired to use his talent as a witch to summon a demon. That demon ended up saving his life. In the time since, he hasn't been able to forget about Sal. 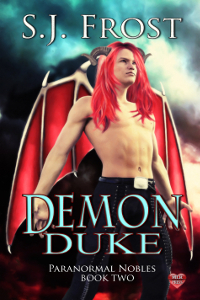 He knows entering a deal with a demon is dangerous, but to save his brother, binding himself to the beautiful demon might be worth the risk. Sal is a duke among demons. An immortal being, more powerful than a vampire, but who has one admitted weakness, a fondness for humans. When Calvin comes to him to make a deal, he's hesitant, but can't deny his need to be closer to him. He also knows if he doesn't help him, Calvin will summon another demon, and he knows all too well the treachery of his own kind.